Iran’s bid to put a satellite into orbit, in defiance of U.S. warnings, failed on Tuesday after the rocket carrying it did not reach escape velocity, as the country’s telecoms minister said a second launch would go ahead. Iran, which considers its space program a matter of national pride, has said its space vehicle launches and missile tests are not violations and will continue. 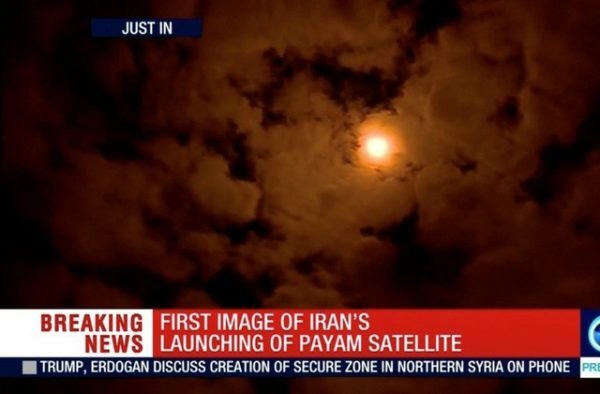 Telecoms Minister Mohammad Javad Azari-Jahromi said Tuesday’s satellite, named Payam, was mounted with four cameras. It was intended to be used for imaging and communications purposes and orbit at an altitude of 500 km (310 miles), according to a report on the ministry’s website.